If we know one thing about stock market investors it’s that the better the market performs, the less and less they think about risk. The first thing every investor should know and accept is that there is no such thing as a surefire investment. Risk is a part of the process. No matter what you invest in, there is always a possibility that you won’t turn a profit – or worse: you can lose some or even all of what you put in to it. You can manage risk, though, with a few proven techniques. 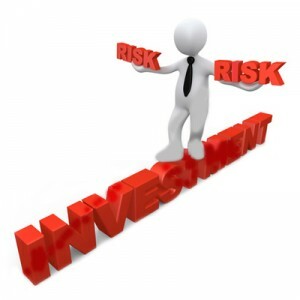 The first step in managing risk is to practice asset allocation. This means having your money in a variety of asset classes, which include cash, stocks, and bonds. Doing so is a protective measure – typically when stocks are doing well, bonds aren’t, and vice versa. Having some money in cash (or cash equivalents, which are extremely low-risk investments such as Treasury Bills and money market funds) makes sense, because outside of inflation risk – the slow but steady increase in the cost of living – your money is pretty safe. After you spread risk by investing in different asset classes, you can manage it even further through diversification. There are many different types and classes of stocks and bonds – some are much more risky (but with the potential for greater reward) than others. Therefore it is a good idea to divide your funds among a variety of investment vehicles with different risk and reward potentials. For example, consider purchasing shares of stock in an assortment of different sectors. A sector is a subset of a market, and stocks are often grouped by the company’s type of business. Sectors include utilities, transportation, technology, health care, energy, and communications services. When you diversify your holdings among sectors, you spread risk – if one sector is doing poorly, another is probably doing well. An easy way to diversify your holdings is with mutual funds, since they are comprised of many different investment types and classes. Dollar cost averaging is another way of managing investment risk, and nothing can be simpler to do. You can practice dollar cost averaging by purchasing securities with a fixed amount of money at regular intervals. This way you buy more shares when the price is low and fewer shares when the price is high, thus reducing the over-all cost of the shares purchased. If you have a retirement account through your employer, you already practice dollar cost averaging. You are having a set amount of money deducted from each paycheck deposited into your retirement account. And whether the mutual fund is doing well or poorly, the same amount of money is being invested. Done over many years, you ride out the highs and lows of the market. Review and adjust your portfolio (your collection of investments) regularly. Even if you are comfortable with a great deal of risk, the closer you get to retirement, the more conservative your investment portfolio should become. The last thing you want is to have the bulk of your money – cash you are expecting to have when you stop working – in investments that have a high likelihood for loss.